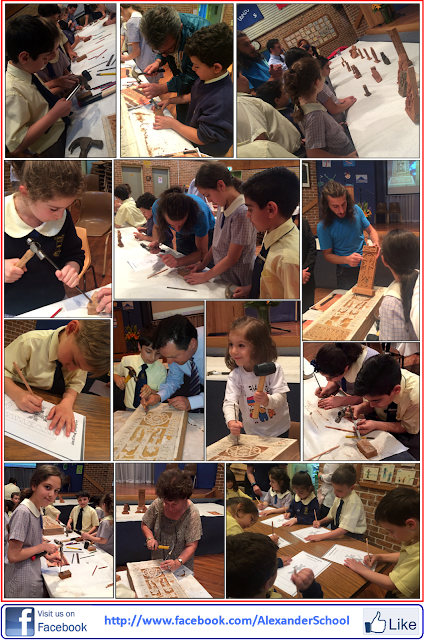 AGBU Alexander Primary School - Blog: MASTER ‘KHACHKAR’ SCULPTOR AMONG US! 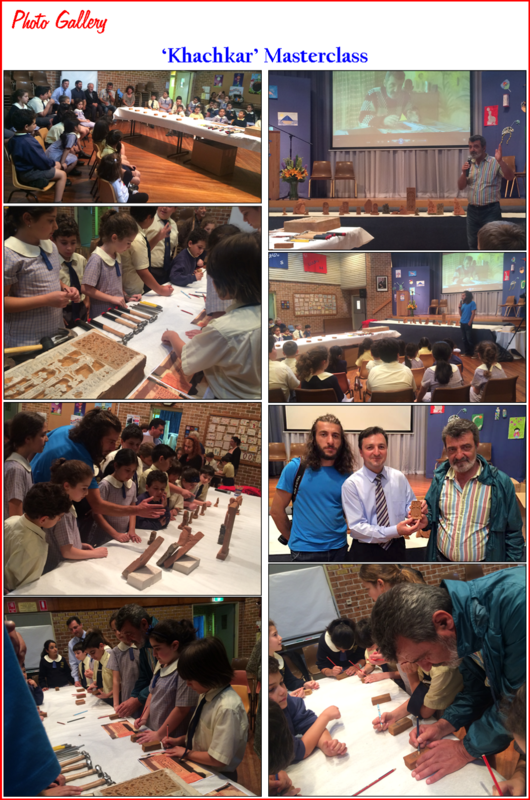 On Tuesday (3 November, 2015), we were honoured to have distinguished guests from Armenia. Master sculptor Varaztad Hambardzumyan and assistant Garik Hovhannisyan not only came to see the school but also joined with the students and staff in explaining and demonstrating the unique skill and art of crafting Armenian Khachkars. 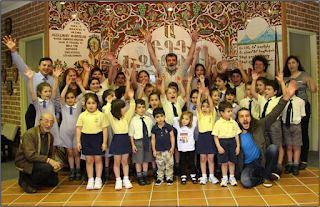 Earlier this year, Willoughby City Council unanimously passed a motion recognising the Armenian Genocide and approved the development application to erect a cross stone or a ‘Khachkar’ Genocide Memorial, commemorating the Centenary year. After having carved the Memorial Khachkar, our master sculptor had come to Sydney ahead of the official unveiling and dedication ceremony. This unique and intricate masterpiece is to be located at Beauchamp Park, Chatswood.